ANA Aeroportos de Portugal informs all passengers that, due to a strike announced for security companies, passenger processing at national airports may suffer constraints between May 13 and 17. Therefore, ANA recommends that all passengers travelling during that period request information from their airline companies, and follow the guidelines provided. We also suggest that luggage be checked-in so as to reduce the number of items that require screening when going through security and that passengers arrive at the airport at least two hours prior to their flight time. Lisbon Airport went back to operating normally at 10h30 this morning. The problem with aircraft fuel supplies was resolved at 00h30. Currently, all air traffic restrictions have been lifted and all flights are running on time and at a regular pace. Yesterday, Wednesday, 10 May, a malfunction in the fuel supply system, operated by the Fuel Operation Group (GOC – Grupo Operacional de Combustíveis), caused significant disruptions in Humberto Delgado Airport, in Lisbon. In order to deal with this anomaly, which was beyond its control, and to limit the impact on passengers, ANA Aeroportos de Portugal activated an emergency plan that enabled the return to normalcy today, Thursday, 11 May, by 10:30 am. In response to the anomalous situation, ANA activated a crisis device that enabled airlines to track and assist its passengers. Rest areas were created and 328 beds were made available in the terminal to passengers who could not be accommodated elsewhere, along with the over 1000 meals which were distributed. As an alternative to the malfunctioning fuel distribution system, four tanker trucks were used to fuel the planes. After the repair of the anomaly in the system – operation and maintenance of which falls upon the responsible oil companies –, ANA Aeroportos de Portugal, with the support of the Portuguese authorities, was able to restore normal functioning of the airport operations in record time. ANA thanks the passengers for the patience and understanding they showed during this abnormal situation and decided to make a request for the competent authorities to identify the exact causes of this anomalous situation. ANA has just launched a new function for its app. The ANA app now includes Business in the Air, through which it is possible to make the most of waiting times at airports Humberto Delgado (Lisbon) and Francisco Sá Carneiro (Porto), boosting business opportunities. Using their LinkedIn profile, passengers are able to make new contacts, propose a business meeting at the airport and even check if the person with whom they made contact will be sharing their flight. The launch of Business in the Air follows on from VINCI Airport’s open innovation long-term strategy. Business in the Air was the winner in the Airports category of the roving European VINCI Start-up Tour contest which, in 2016, evaluated the entries and 400 competitors and, after a first phase of selection, assessed the presentations of 131 start-ups in 12 cities in France, the United Kingdom and Portugal. The VINCI Start-up Tour sought innovative and promising initiatives to reinvent the digital customer’s experience in the infrastructures operated by VINCI Concessions (e.g., motorways, airports, railways). The Business in the Air function is a result of ANA’s efforts towards continuous improvement of the services offered as well as the provision of new services to passengers. - new design, more attractive and efficient. 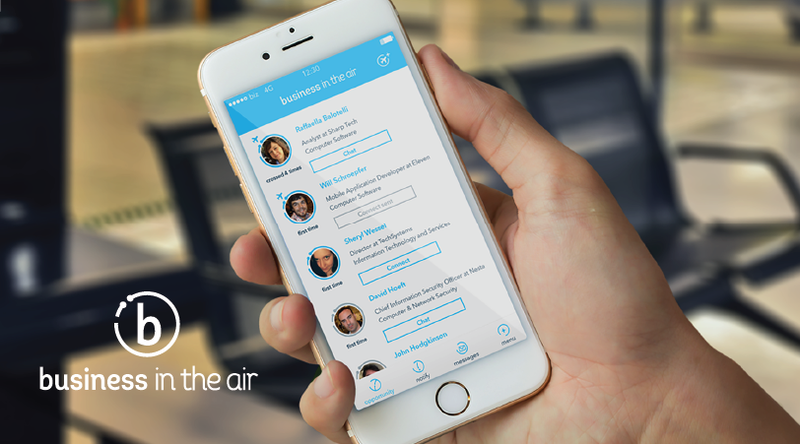 Business in the Air features are available in ANA's app, which can be downloaded for free to Android and iOS. 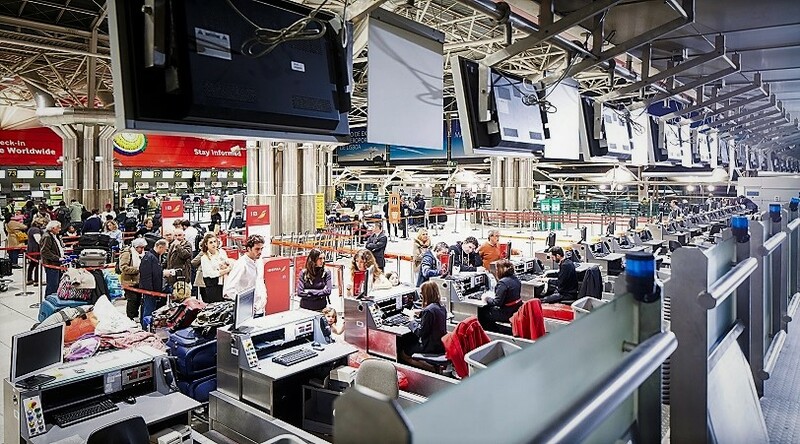 ANA Aeroportos de Portugal informs all passengers that, due to a strike announced for security companies between April 13 and 17, passenger processing at national airports may suffer. Therefore, ANA recommends that all passengers travelling during that period request information from their airline companies, and follow the guidelines provided. As a result of the sustained and systematic application of a volunteer effort to manage the carbon emissions associated with ANA’s activity, the airports managed by the Company saw their Carbon Accreditation renewed by ACI Europe. This year, all ten of ANA’s airports are on level 2 (Reduction) of the Airport Carbon Accreditation programme. 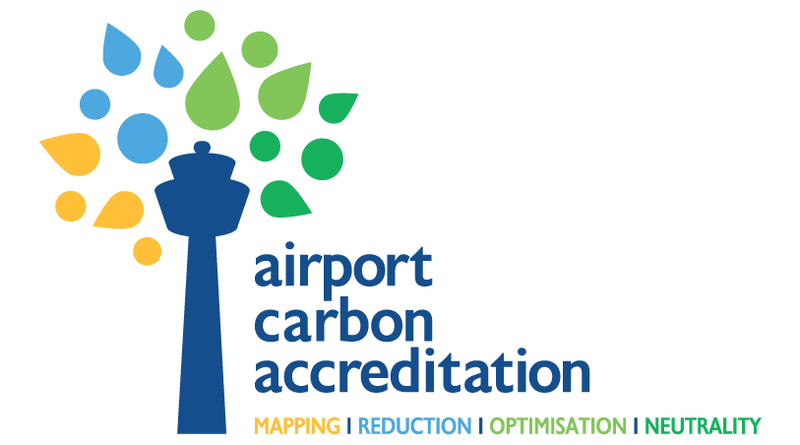 The Airport Carbon Accreditation is an initiative of the ACI (Airports Council International) and is a specific programme for the management of carbon emissions for Airports. Through it, the ACI evaluates and recognizes the Airports’ efforts to manage and reduce their carbon emissions, with four levels of recognition: “Mapping”, “Reduction”, “Optimization” and “Neutrality”. This programme, which began with ACI Europe, was later extended to the global level. The accreditation at the “Reduction” level means that ANA Aeroportos de Portugal (VINCI Airports) not only is aware of its CO2 emissions but was also able to reduce the corresponding carbon footprint. The calculation of the carbon footprint of ANA’s airports is subjected to verification by an external and independent entity, reinforcing the credibility of the emission levels reported by company of the VINCI Airports group. At the end of 2016, the ACI had among its members a total of 173 accredited Airports, which represented 36.4% of the worldwide passenger traffic. 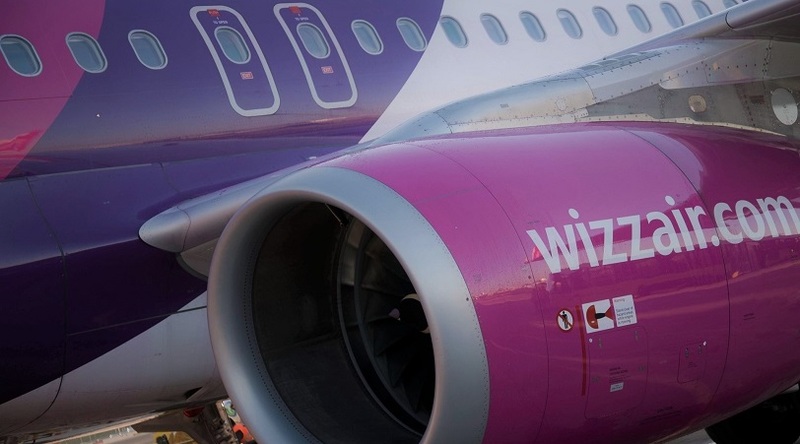 Faro Airport and the largest airline in Eastern Europe – Wizz Air – inaugurated on 1 April, the new Faro-Budapest route, with the aircraft’s baptism on arrival and offering of gifts to the inaugural flight’s passengers. The new route to Budapest (Hungary) starts with a weekly frequency, on Tuesdays, until 20 June and, after that date, will have two weekly frequencies, on Tuesdays and Saturdays. 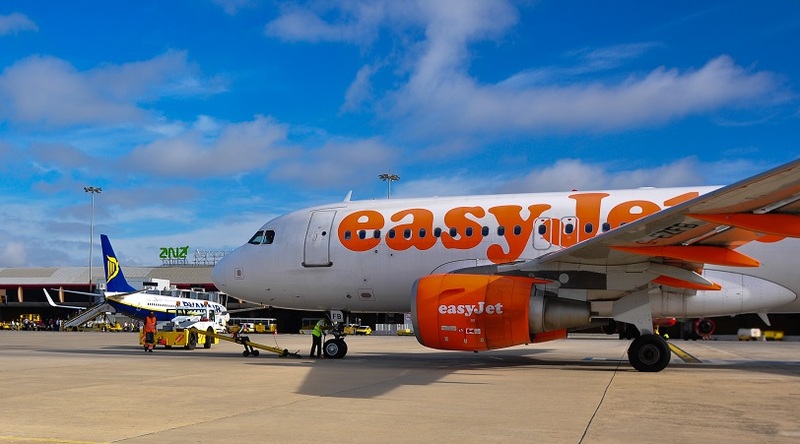 This new service to Budapest will be served by an Airbus A320 and will represent, in total for this operation to Algarve, an offer of over 15,000 seats and more than 80 movements. Wizz Air operates more than 450 routes and 120 destinations, from 28 bases in Europe, and transported more than 20 million passengers in 2016. 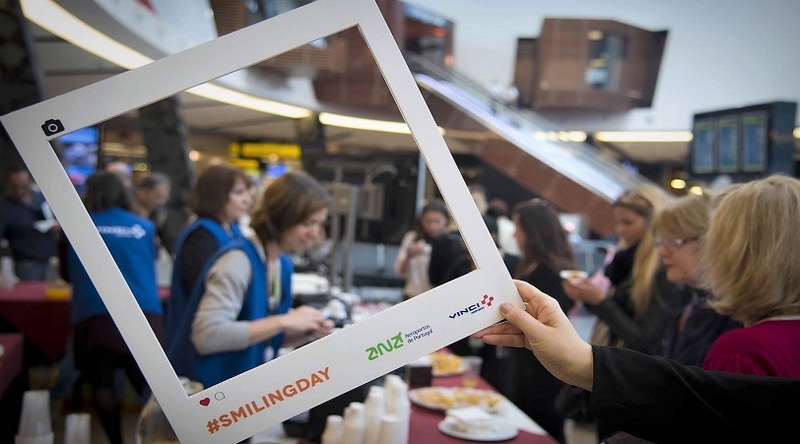 “Smiling Day” was celebrated today at the 35 airports owned by Vinci Airports, in 6 countries. In Portugal, from 10h00 to 17h00, the passengers were received greeted by volunteers belonging to the different entities working at the airports. The elements of the teams, beside welcoming the passengers with a smile, created an environment for socialization in which typical local sweet products were offered. The typical sweets included: pastel de nata (Lisbon), carob and almond biscuits (Faro), corn and cinnamon biscuits and olive oil biscuits (Porto), beer biscuits (São Miguel), ear biscuits and júlias (Santa Maria), Azorean sweet bread of massa sovada (Horta), raivinhas (Flores) and passion fruit and honey cake chocolates (Madeira and Porto Santo). In the 9 airports under ANA management that were part of this action, were involved 192 volunteers that greeted around 118 thousand passengers that arrived or departed in the 836 flights scheduled for the period in which the action took place. Next Friday, March 31st, the airports in the VINCI Airports network are taking part in a day-long event where passengers and airport staff come together and enjoy a moment. The 2017 event will include a new and interactive concept connecting passengers in VINCI Airports’ network. 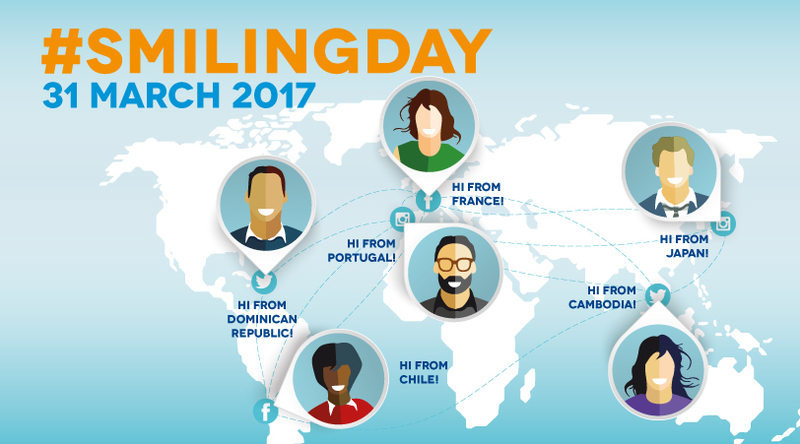 For the first time, all of the airports in the network, in Japan, France, Portugal, Cambodia, Dominican Republic and Chile, are organizing “Smiling Day,” VINCI Airports’ flagship event for customer care, loyalty-building and passenger services. On Smiling Day, all airport staff, no matter their job, reach out to passengers and offer them a friendly welcome. In 2016, almost 132,000 passengers departing or arriving on 1070 flights were greeted by 970 employees. The 2017 edition introduces an interactive and international concept. Indeed, Smiling will bring together the teams and passengers of six different countries. In 11 of the 35 participating airports, the welcome area will be equipped with a camera and a screen, broadcasting live the exchanges between travelers and VINCI Airports employees. Held annually since 2012, Smiling Day embodies VINCI Airports’ desire to offer passengers a unique level of quality of service, with the goal of paying close attention to passengers’ expectations in order to offer them innovative services and make their customer experience even smoother and more pleasant. Last Sunday (26 March), Faro Airport and Ryanair inaugurated the new Warsaw – Faro – Modlin route. The new route to Warsaw, operated throughout the entire summer season with two weekly flights by Ryanair in a Boeing 738, will represent a total offering of 23,436 seats. In addition to the Warsaw – Modlin Route, the Irish airline with a base in Faro will offer nine new regular services this summer, i.e. : Aberdeen, Belfast, Cardiff, Frankfurt am Main, Hamburg, London-Luton, Marseille, Newquay and Newcastle. According to statements by Ryanair’s representative, Barbara Casanova – Sales and Marketing Executive for Portugal and Spain, “the extended offering of 10 new regular services by Ryanair will enable the transportation of 2.4 million customers per year and support 1,800 jobs at Faro Airport, stemming from [the Company’s] commitment to continue to bring tourism and to create new jobs in Algarve and in Portugal.” Delighted with the continued growth of Ryanair in Faro since its first flight, in 2013, Barbara Casanova also said, “We expect to continue to see considerable levels of growth, stimulated by our unbeatable formula of low prices and excellent customer service – 'Always Improving'”. 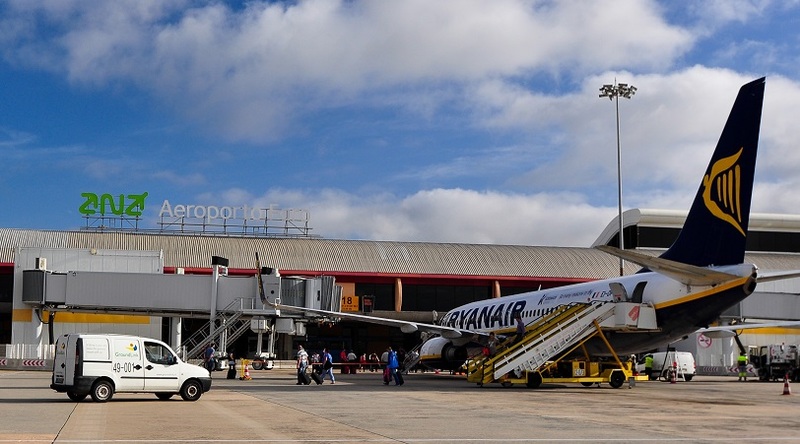 Ryanair is the airline that transports the most passengers from/to Faro, having been responsible for over 27% of this airport’s traffic in 2016.